Elite Homes have the pleasure in offering a large 1 bedroom 1st floor flat in Tufnell Park, N7. The apartment is within a period building and benefits from being in a highly sought after location. 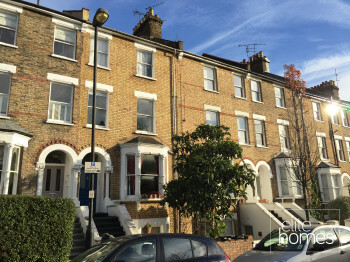 5 Minute walk to Tufnell Park underground station. 10 minute walk to Holloway Road. Great commute links to central London. Property will be newly refurbished throughout. 15 minute walk to Hampstead Heath Park. Please note the property is undergoing refurbishment and will be available from the 02/02/15, bills are excluded from the rent and unfortunately the landlord doesn’t accept housing benefit claiming tenants.